A woman’s risk for numerous medical conditions, including breast cancer, type 2 diabetes, and heart disease rises during and after menopause. Working out regularly, good nutrition and maintaining a healthy weight can help offset these risks. Research has proven that running for 30 minutes or more on a running machine or cross trainer is counterproductive to our metabolism, doesn’t burn fat, (you may have found that the exercise you did in the past isn’t working for you now?) and can contribute towards oestrogen dominance, which in turn adds to any unpleasant menopause symptoms and continued weight gain … whatever you try! The best exercise for the mid-life years is HIIT (High Impact Interval Training), which involves exercising to a high level in short spurts, and relaxing in between before exercising again. For example, exercise 30 seconds, relax 30 seconds over a 20-30 minute time period. Often done in a gym with a variety of equipment. But it doesn’t have to involve expensive gym membership or equipment you’ll be pleased to know! You can employ exactly the same principal when you are walking, e.g. power walk for 30 seconds, walk slower for 30 seconds, for 30 minutes 3-4 times/week. You can even do this indoors! Or my favourite exercise which is on a rebounder (mini trampoline). Jump up and down vigorously for 30 seconds, relax for 30 seconds. Keeping this up for 20 minutes at any one time may be more difficult initially, but you can always split this up into 2 x 10 minutes in a day. It’s really versatile, suitable for all ages and abilities, and there are lots of exercises you can find on YouTube. Both of the above I encourage members of the Natural Menopause Road Map on-line programme to follow as they can so easily be slotted in to the day. HIIT exercise is fat burning, boosts metabolism, reduces chance of cardio problems. Oestrogen helps protects the heart, decreasing levels through menopause leaves us more susceptible to heart disease, the biggest killer of age 60+ women! Whatever your exercise level is now, increasing the amount of movement you do, increasing your heart rate in shorter bursts will pay dividends for you not just now, but in the long term. Strength training to build muscles mass and strength, rev your metabolism, stave off the 50% chance of developing fractures and osteoporosis. Yoga to help calm the nervous system, keep you flexible, centre the mind and help reduce hot flushes, irritability, fatigue. Dancing to help you build muscle, keep you flexible, exercise the mind due to remembering the routines. Combining movement AND nutrition are essential for maintaining health not just during menopause, but so importantly ensuring your optimum health BEYOND menopause. What can you do to increase your exercise level? Please do share. 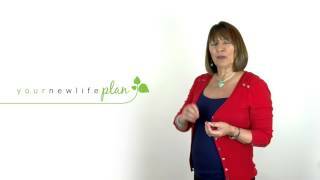 Helping busy ladies naturally create harmony and health through the menopause years and beyond. Regain control, confidence, and be free to live the life they choose. Clare prefers the natural approach, and qualifying in nutritional therapy gave her the confidence to come off HRT, take back control of her life and health, and look forward to living the best third of her life free of prescription drugs. Understanding the importance of creating harmony of health of both body and mind through menopause and beyond, she’s now on a mission to inspire, educate and empower other women, too. Help them create their ‘new life’. Click HERE to find out more about how Clare shares her years of exploring, experience and knowledge through 1:1 consultations and online programmes. If you’re now ready to take back control of your hormones and life through natural nutrition and lifestyle changes, you can request a FREE 30 minute consultation with Clare to discuss what would work for you.